A Honda Accord for Every Personality…What’s Yours? You have some options when deciding on which 2017 Honda Accord to purchase. Choose between a 2-door coupe, 4-door sedan, or the hybrid edition. No matter what kind of driver you are you will find a 2017 Honda Accord that fits your personality. These are the 3 types of Honda Accords you can drive. Driving the 2017 Honda Accord Sedan, you will feel a little spoiled as your most precious cargo will be extra taken care of. Equipped with blind-spot monitoring, lane-keep assist, lane-departure warning, and forward-collision warning, the driver and their passengers will always arrive safely. Sportiness and style is the definition of the 2017 Honda Accord Coupe. This 2 door vehicle offers available Push-Button Start, Dual -Zone Climate Control, Apple CarPlay and Andriod Auto, and a backup camera. Combined with sleek styling that is distinctly Honda you will be happy rolling up to any occasion in your brand new 2017 Honda Accord Coupe. Looking for fuel efficiency? We thought so. With summer coming up you can prepare for those road trips and forget about the hike in gas prices and usual monthly fuel budget. The 2017 Honda Accord Hybrid offers an impressive 49 mpg city/47 mpg highway*. With 14 different trim and body-style combinations you are sure to find the Accord that suits your lifestyle. 15.8 cubic feet of storage space in the trunk will allow you and your entire family to pack all of your suitcases for a more than comfortable drive to the airport. The back seats have plenty of room for those leggy passengers. Are you in or near the market to get into a new vehicle? 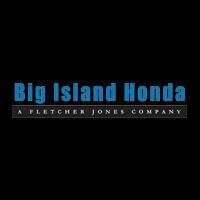 We want to help you find the Honda of your dreams. Start your search today! 23 city/32 highway/26 combined mpg rating for 6-speed manual transmission models. 27 city/36 highway/30 combined mpg rating for CVT models. 26 city/34 highway/29 combined mpg rating for Sport CVT models. 21 city/33 highway/25 combined mpg rating for V-6 models. Based on 2017 EPA mileage ratings. Use for comparison purposes only. Your mileage will vary depending on how you drive and maintain your vehicle, driving conditions and other factors. 0 comment(s) so far on A Honda Accord for Every Personality…What’s Yours?